Pulpits were seldom found in parish churches in the early Middle Ages: the people were taught scriptural stories by means of miracle and morality plays. 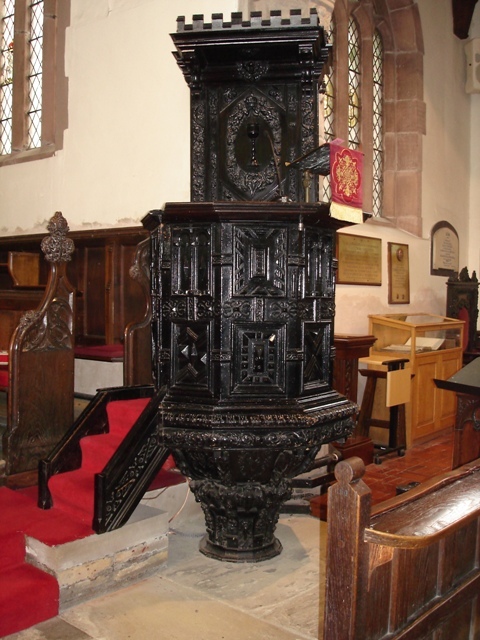 The pulpit at Deane is probably the original one and belongs to the Elizabethan period, the oldest in Lancashire. Much of the finest wood-carving in churches was done during the Renaissance period, which began in the 15th century. During the 16th century the carving was more elaborate, and our pulpit is of this more extravagant design. 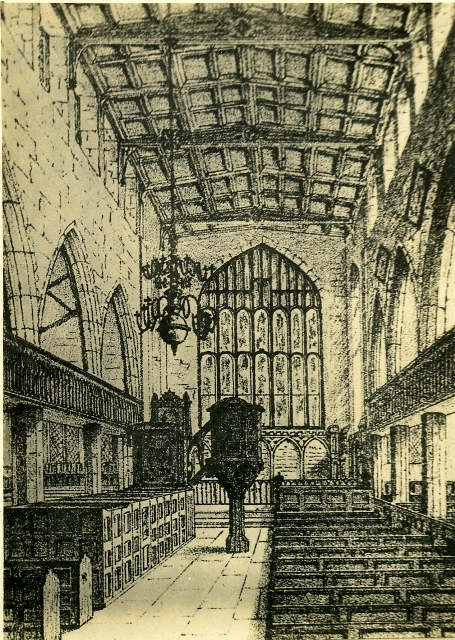 They were often moveable, and a picture of the interior of Deane Church shows our pulpit in the centre aisle in front of the chancel as late as 1850. It is shown standing higher than it does now, and supported by a rail that joined it to the reading or clerk's desk, which then stood in the place now occupied by the lectern. This same reading desk, with its carving of a chalice in the centre of the panel, is now fastened to the pillar behind the pulpit. Unfortunately, during redecoration in 1986, the old wood which was showing its age was painted in gloss black! It is our hope that in a future re-ordering it will be restored to its former glory.